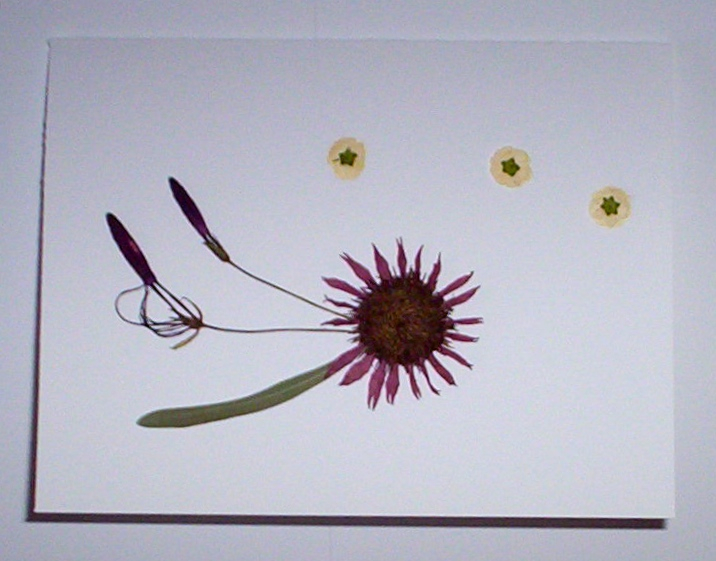 Yesterday I came across some pictures of note cards I created using pressed flowers from my garden. When they were finished I passed along the cards as a gift and never thought to create any more. I made these in in January 2008 and I decided to post them today as a reminder to myself to try it again sometime. 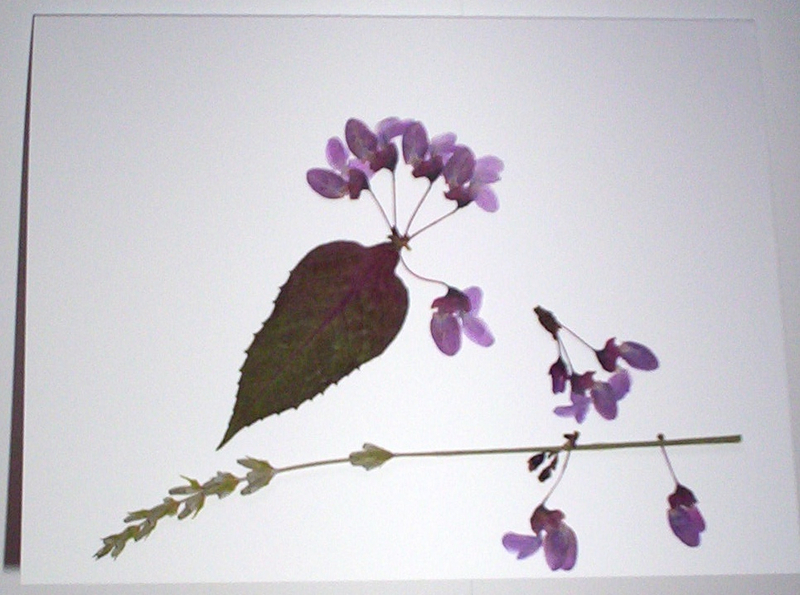 This entry was posted in garden and tagged botanical cards, pressed flowers on February 26, 2014 by pbmgarden. the cards are beautiful! Think you could make me some for the Oct. scholarship fundraiser? I love that idea Susie. 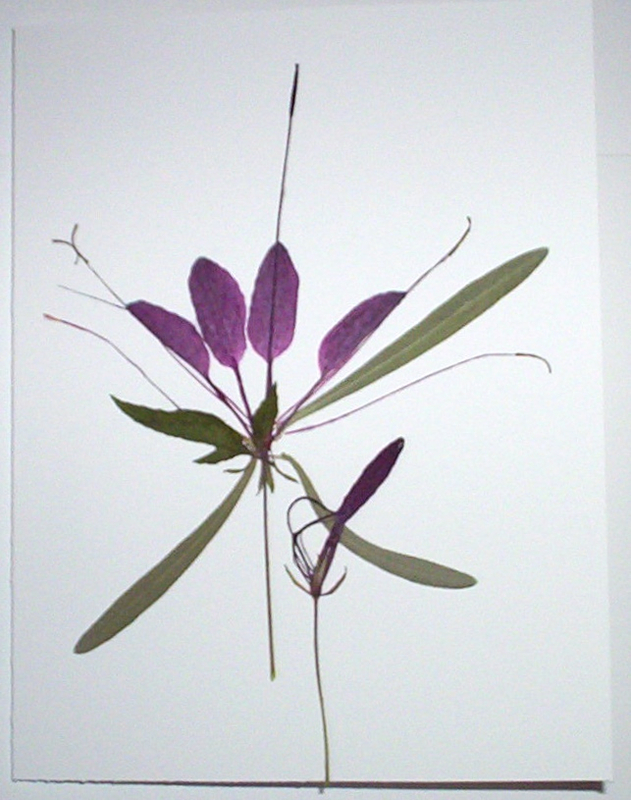 I used to press a lot of wildflowers, hoping to creat my own herbarium, but lack of time put that project to rest! 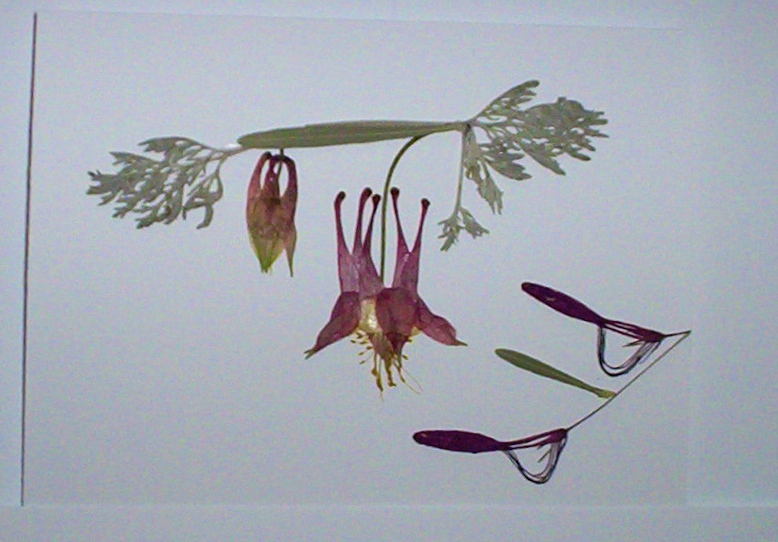 However, I am so glad you have reminded me of my flower press, and I will try and use it this year. I must try waxed paper, as the colours seem to have lasted well on yours – I have always used “blotting paper” until now. 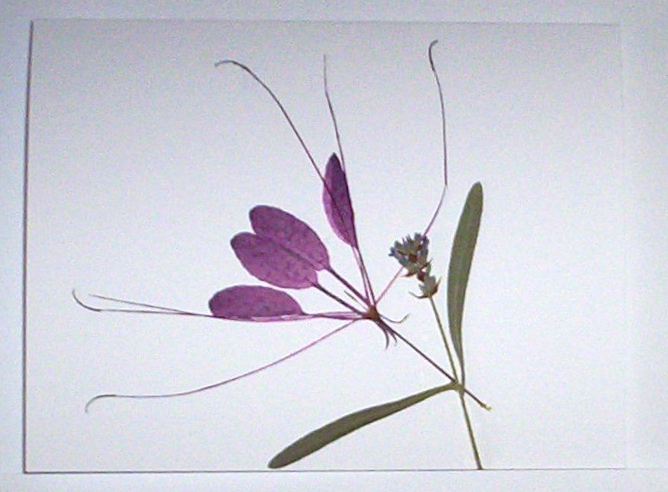 I like your idea of creating your own herbarium Cathy. You know come to think of it, I might have used paper towels from the kitchen. I’ll have to check if I can find any leftovers in my art books, still being pressed! Not something I’ve ever done; they are lovely you are very talented. They are lovely Susie, I used to press flowers as a child, but never made anything as beautiful as yours. Your cards are beautiful and very modern, I really like the Cleome and Aquilegia cards, I haven’t tried this but feel inspired by your post. Thanks Julie. Cleome has such an interesting structure in the garden and I found it worked well for this project. Thanks for your very kind words. I am not sure if I’ll follow through on larger projects as you suggest, but this technique does provide a lot of possibilities. You might enjoy it as well–I found it to be a calming, creative process. They look very nice indeed. I also press flowers…and then tend to forget them. Time to do some cards maybe! Thanks Annette. I’d love to see your pressed flowers too someday. Those are something Susie, and I’m glad you pointed out your gravatar source, I don’t think I would have made the connection on my own, and now it’s just so much more interesting. I never noticed cleome was so intricate! Thank you. Seems funny to me now that I chose that card for the gravatar but there it is. Do you grow cleome? I adore them. They spread easily but are easy to pull out so it doesn’t become a nuisance. 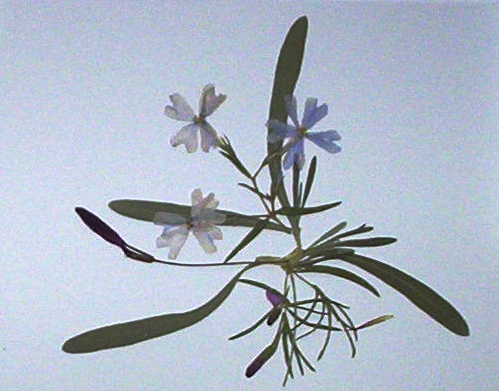 The plant has a very architectural form. I have grown it, but it’s always hit or miss either taking over or never amounting to much. Lately I’ve been seeing the smaller proven winner varieties but just can’t convince myself to buy a plant that’s so easy from seed! Those are really lovely! Far nicer than any of the cards available in stores. Thanks. Wonder how long we’ll even be able to find any cards in the stores. I really enjoy hand-written notes, but they’re becoming rare at my house. They are so beautiful. You have arranged them so artistically. I haven’t pressed flowers since I was a child but you have made me keen to try again. Thank you Chloris. I think you may enjoy pressing flowers again. I found it interesting to work with flowers at that level of detail, rearranging them and combining parts from different plants. Beautiful. You should definitely make some more and frame them for yourself. These are stunning. I would love to know how they were made if you wouldn’t mind sharing. 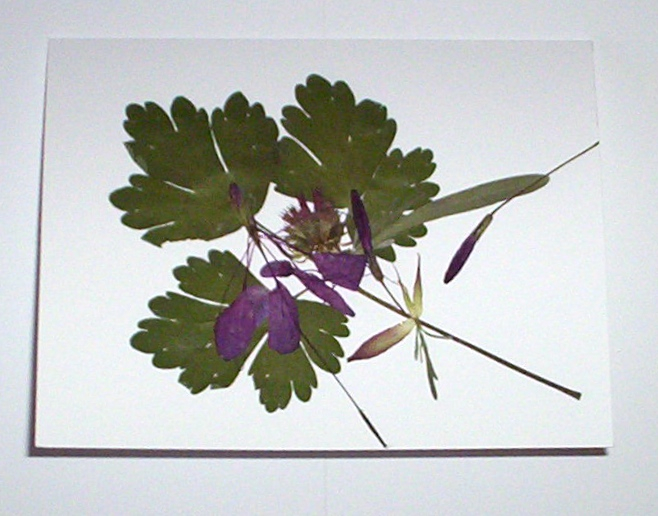 Donna, just collect some plant material (flowers, stems, esp. flat items) and press between paper towels inside heavy books for 2-4 weeks. Use blank greeting cards to layout an arrangement (no rules really). Use white glue, such as Elmer’s, to attach and allow to dry for several hours. You can cover with a self-adhesive plastic but I prefer to leave them uncovered. Give it a try–it’s relaxing. Lovely! I haven’t pressed flowers in years. What do you use to adhere them to the cards? Thank you! I leaned this technique from a woman during a yoga retreat and she recommended using white glue, such as Elmer’s. Ah. Good to know. Thanks for that.